Can One Box Office Success Point to the Future of Foreign-Language Films in the U.S.? Cineastes often lament the end of classic foreign art-house fare in the U.S. (wither the Almodovars and Godards at the box-office?). But every year, one or two films come along and upend the industry’s dour expectations. There have been some recent exceptions, including Music Box Films’ “Ida” and Roadside Attractions’ “Gloria” ($2.1 million) from 2014, as well as the 2013 French releases “Renoir” ($2.3 million) and “Blue Is the Warmest Color” ($2.2 million). 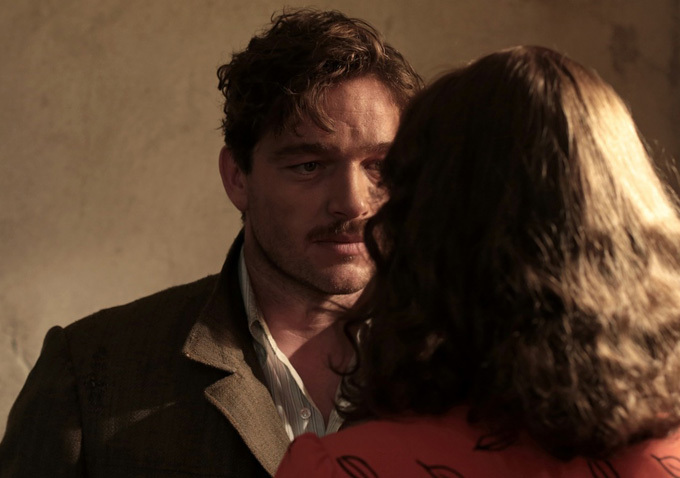 Even though IFC Films knew “Phoenix” would not be Germany’s entry for the Oscars last year, they were confident that reviews would be strong. Indeed, the film’s Metacritic score of 90 earned it “universal acclaim,” while Rotten Tomatoes’ “Top Critics” ranked it with a perfect 100%. “Between the subject matter and the fact that critics were comparing it to Hitchcock, we knew audiences were going to respond,” said Sehring. Not having to pay attention to awards momentum, IFC Films chose to release the film outside of the glut of Oscar season in the middle of the summer, July 24. At that time, there was very little in the way of direct competition. By comparison, Mia Hansen-Løve’s critically acclaimed “Eden” played for four weeks starting in June and stalled out in July with only $65,460 in total ticket sales. “There are just so few films that are appealing to an older audience,” said Arianna Bocco, Senior VP, Acquisitions & Co-Productions at IFC Films and Sundance Selects. “We were always looking to do counter-programming and make sure that the film got off to a decent start,” said IFC’s Mark Boxer, Senior VP, Sales and Distribution. But to appropriately build word of mouth, they needed time — something which few independent films have in today’s cutthroat exhibition context, where modestly performing movies are thrown off screens immediately to make way for new titles. Fortunately for IFC, bigger art-house revivals such as Woody Allen’s “Irrational Man” and Bill Condon’s “Mr. Holmes” — released a week earlier — had bigger per-screen percentage dips, which gave the film the necessary breathing room to grow. For instance, after six weeks in release and in 139 theaters, the film had a per-screen average of $2,555. The following Labor Day weekend, the film expanded to 185 theaters, and earned a strong $3,244 average for a seventh week in theaters. “Phoenix” drew the most audiences from expected areas: The top-grossing theater was Lincoln Plaza Cinemas, a favorite venue for older Upper West Side Jewish moviegoers, taking in $222,000 — seven percent of the film’s entire gross. At New York’s IFC Center downtown, it grossed $110,000. Outside of New York, the film also performed well in Washington D.C., Chicago and Highland Park, which also has a large Jewish population. Despite the obvious appeal to the Jewish niche audience, Sehring doesn’t accept the fact that Jewish audiences were essential to the film’s success. “The Jewish audience is important, but all audiences are important,” he said. Indeed, foreign films need all the help they can get in art-houses these days. One of the main reasons foreign films aren’t getting acquired and released in the U.S. as much as in the past is because these films must perform theatrically. “Foreign language films have traditionally done less on VOD,” said Bocco. IFC Films is one. So are Music Box Films and Roadside Attractions. Another is Sony Pictures Classics, which will release “Son of Saul” on Dec. 18. The Hungarian film has all the trappings of another foreign-language hit: it’s an official Oscar submission; a Golden Globe nominee; a Cannes winner; and another Holocaust-themed drama. Who knows? Maybe critics-driven overseas art-house titles can survive in the U.S., after all. At one least one or two a year can make it.